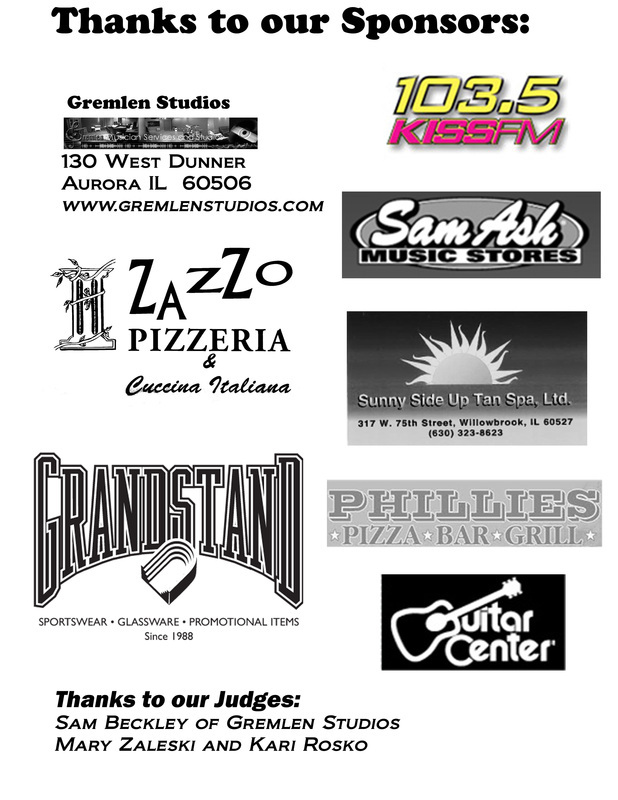 On February 10, 2011 the Hinsdale South Foundation held its first annual Battle of the Bands. Four bands competed in the event, which was co-hosted with 103.5 KISS FM radio station. The band Experience, made up of Hinsdale South students Ryan Jarvis, Steve Kassanders, Darren Miller and Dan Vanchieri, was chosen by a panel of judges as the winner. As a reward for their win, Experience will spend time in the recording studio at Gremlen Studios in Aurora. The event, part of Spirit Week at Hinsdale South, attracted a crowd of about 100 people and raised several hundred dollars for the Hinsdale South Foundation.